This Los Angeles bat mitzvah reception was held a Greystone Manor, a West Hollywood night club. Event planner, Ilana Wenger, came up with some incredibly creative ways to utilize the L.A. party venue's existing decor. 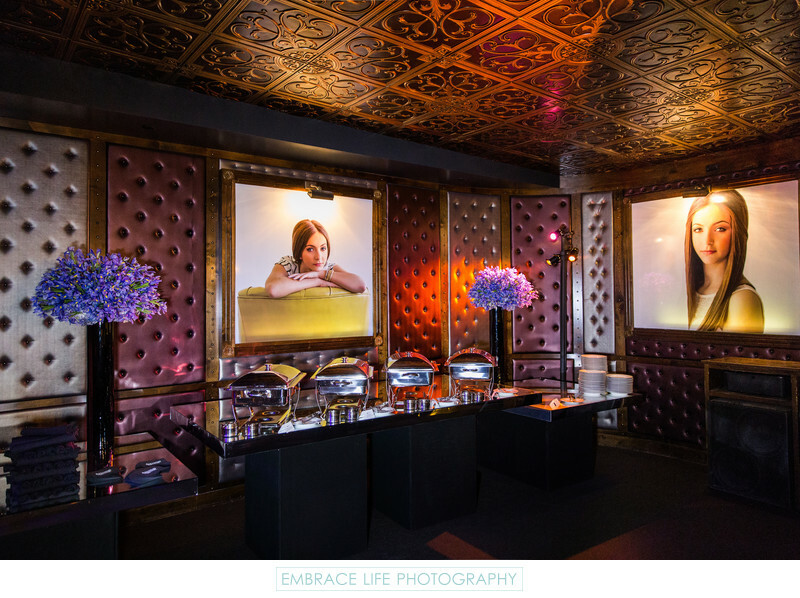 Above a buffet table decorated with beautiful purple arrangements by Sky Flowers, two beautiful, large studio portraits of the bat mitzvah girl, shot in a DTLA loft, decorate the walls covering the existing framed artwork.